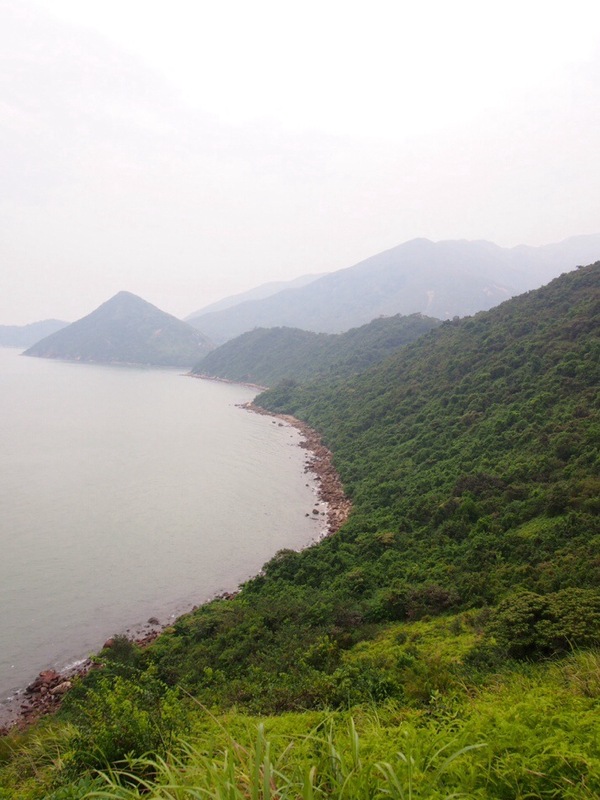 In the past, the coastal Tung O Ancient Trail was an important passage for villagers needing to commute between Tung Chung and Tai O on the northwest coast of Lantau Island in Hong Kong. 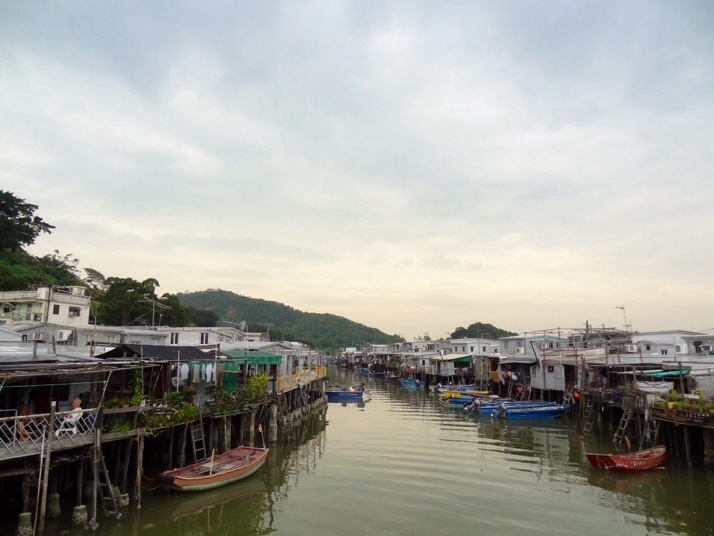 Nowadays it’s a popular 16km hiking trail from the largest town on the island, Tung Chung, around the coastline to the picturesque fishing village of Tai O. Although it’s quite long, the going is pretty easy with concrete paved paths for most of the way and not much in the way of hills. Hong Kong’s airport lies to the north of Lantau island largely on reclaimed land and is visible for much of the walk. 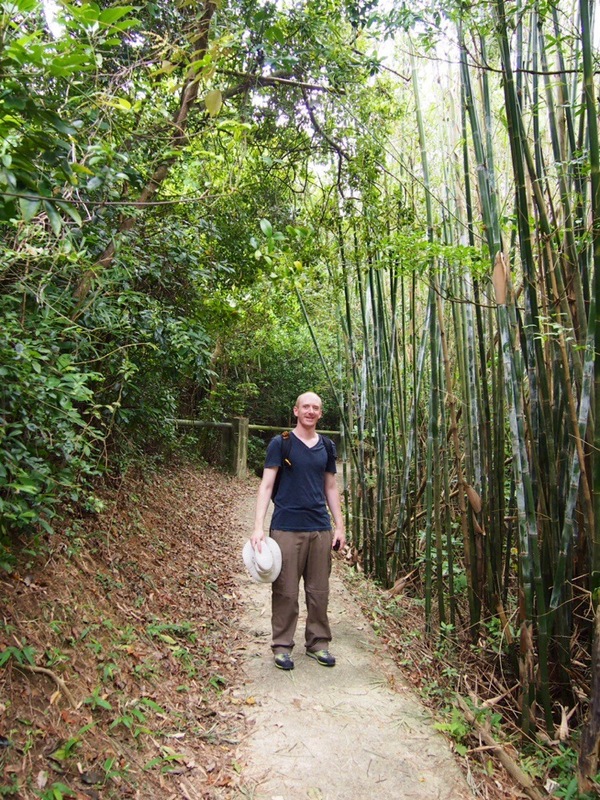 At the small village of Sha Lo Wan which is approximately a third of the way along the trail, Andrew got talking to a local man while looking at some unusual fruit on a small drinks stand. 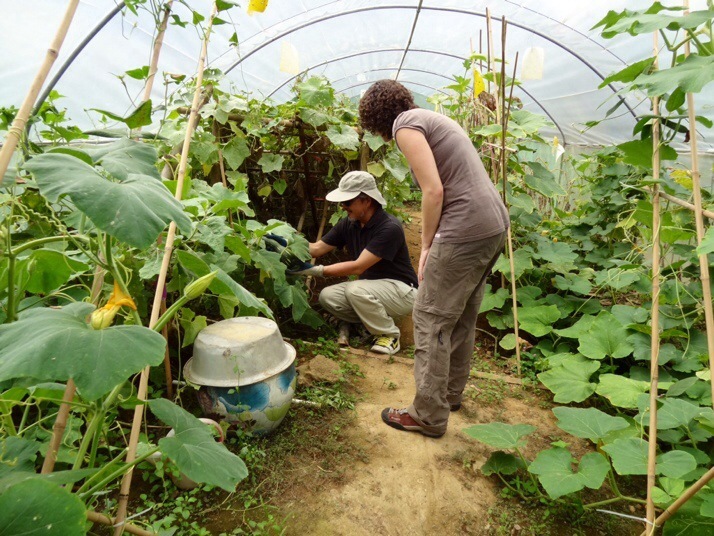 As we continued along the path our new friend, Bong-ho, asked what we knew about the area and directed us towards some ancient camphor trees on the hillside above the village. Turns out he is a retired professor who has come back to the village of his birth to renovate the smallholding which had belonged to his parents. After detouring to look at the huge trees we joined him and his friends for a cup of tea and a welcome sit down before continuing on our way. 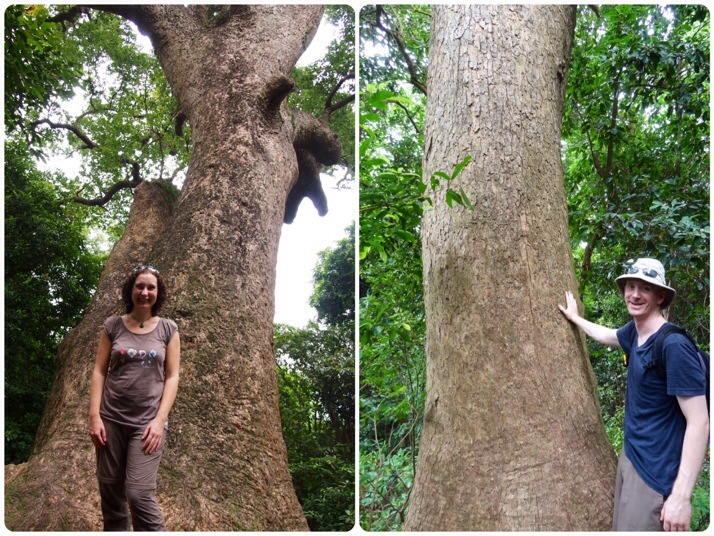 Us with the giant camphor trees at Sha Lo Wan. The nearby information board says that the trees have a history of over 1000 years. Refreshed from the tea we walked on past small roadside shrines and what looked like abandoned villages. Many of these small villages are not connected by road and not many people choose to live there any more. 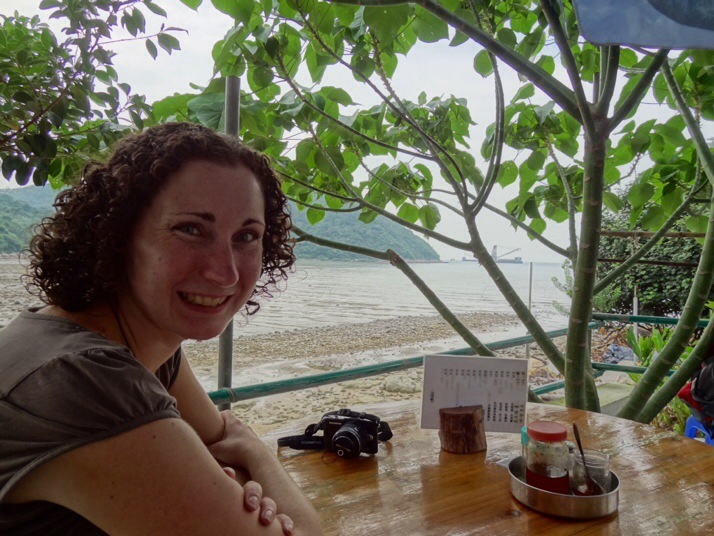 After a tasty noodle soup lunch in Sham Wat Wan which is reachable by road, we walked around the final headland to reach Tai O.
There’s plenty of wildlife to see along the way. 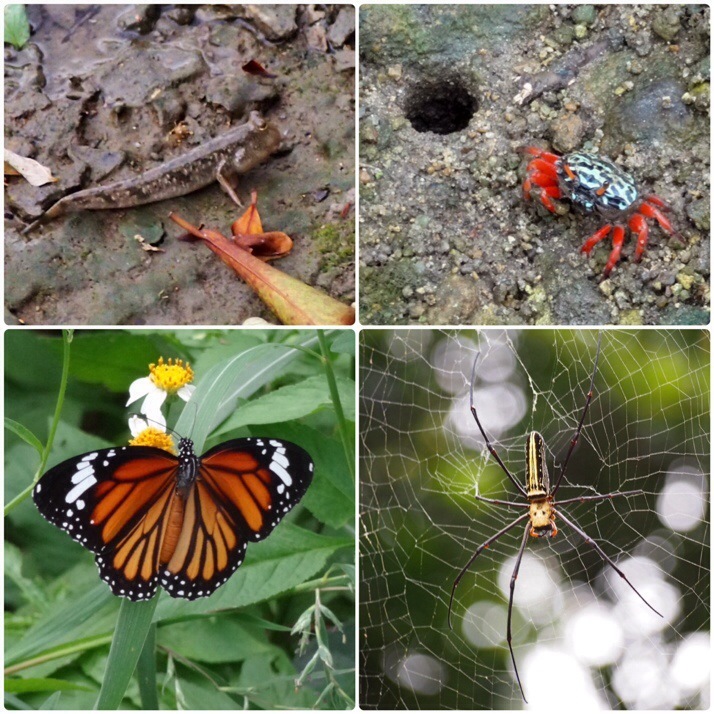 Despite the path being reasonably busy with hikers and cyclists we saw crabs and mudskippers on the shore at the beginning and end of the path, lots of butterflies, birds and even a small snake. 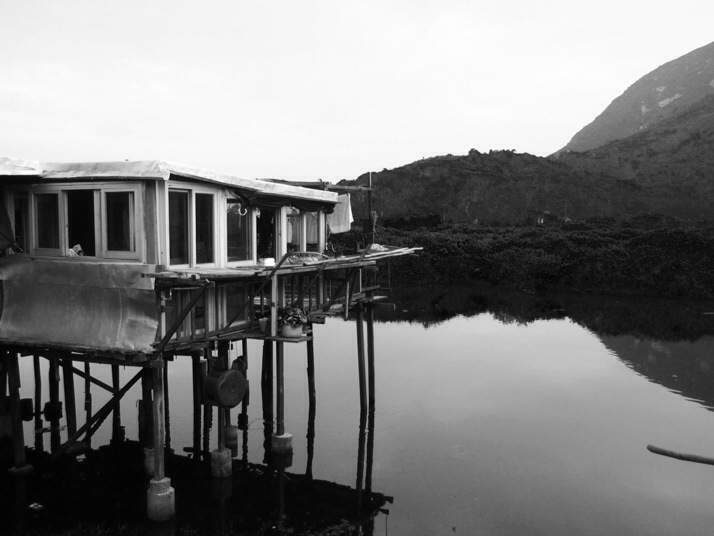 Tai O is one of the oldest fishing settlements in Hong Kong and is well known for its stilt houses. It’s an interesting place to wander in for a couple of hours. We explored some of the narrow streets between the houses where fish are hanging up to dry and old people are sleeping or gossiping on their steps, and went into a couple of the small traditional temples one of which is, quite naturally for a fishing village, dedicated to the goddess of the sea, Tin Hau. 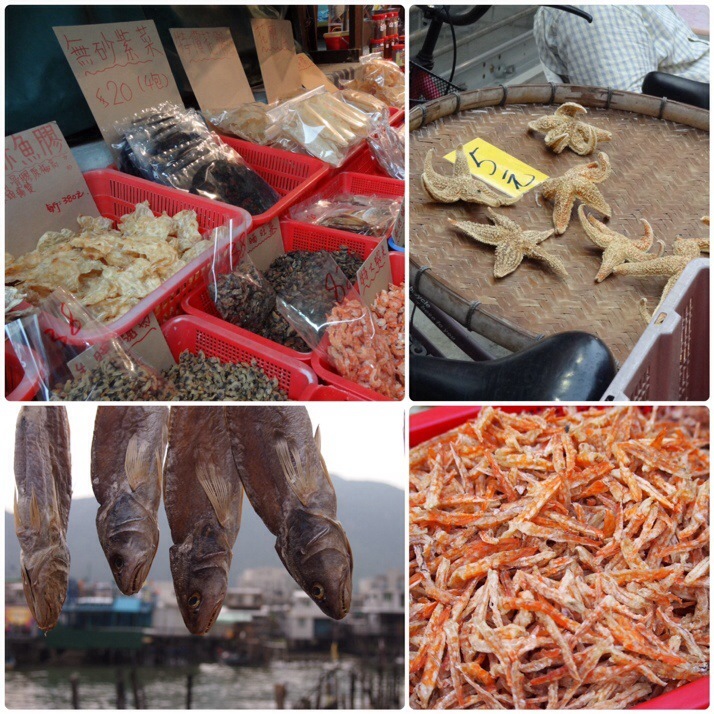 There’s a market area with lots of dried seafood stalls which smell pretty pungent and various street food stalls including barbecued dried squid which looked interesting and freshly made donuts which I highly recommend! 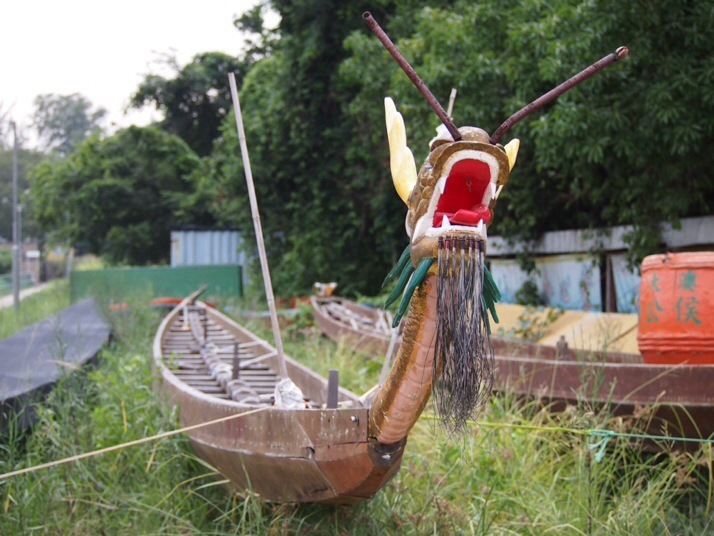 This entry was posted in Places and tagged Hong Kong, Walk on October 1, 2013 by Julie. What is 34 + 31 ?